According to the US Census Bureau, there are 8 million more millennials than baby boomers. The problem for the gambling industry is, the younger demographic doesn’t like to gamble nearly as much. They intend to change that. Caesars Entertainment is rolling out a new tactic it a bid to corner a market that has mostly eluded live casinos – the gambling millennial. It’s called The Fan Cave, and it’s pretty much exactly like the “man caves” strewn across thousands of US homes. The cave provides many of the same freedoms social opportunities as the home version, only it’s set up in the sports book of Las Vegas’ Linq Hotel. The caves come equipped with a 98-inch TV and two other screens about half that size – 200 inches of glorious screen space to watch the game, and/or play video games, as well. Customers also have full control over every screen via a remote control tablet, something traditional sports books can’t offer. 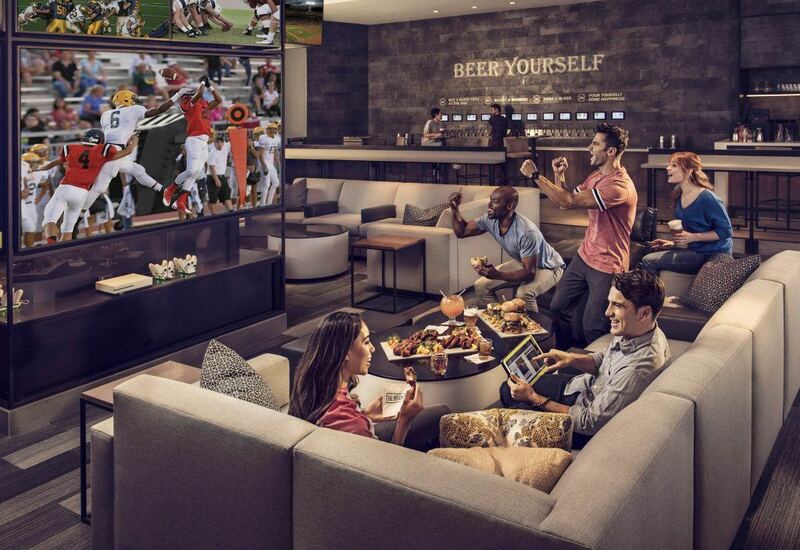 For now, there are 12 Fan Caves available to be rented out privately, but it’s just the start. Founded in 2015, Citizens Against Expanding Gambling (CAEG) is the only organization exclusively dedicated to lobbying against the expansion of gambling in Wisconsin. We inform, equip and engage 1,000s in our statewide grassroots coalition of citizens, employers and community leaders who share a common concern about the explosion of gambling in Wisconsin. Join our coalition today by signing our petition here. We have successfully fought back the legalization of Daily Fantasy Sports (the entrée to online gambling) in 2016 and 2017.